I have a new truck and since I've owned it there's been what I am learning to be a malfunction. When using the remote start feature the entire HVAC and seats/wheel do not engage or turn on. They activate the instant I press the start button once inside the truck. I was asking questions about how to use Forscan to make the seats and heater come on when I start the engine only to learn that is how it IS supposed to work. 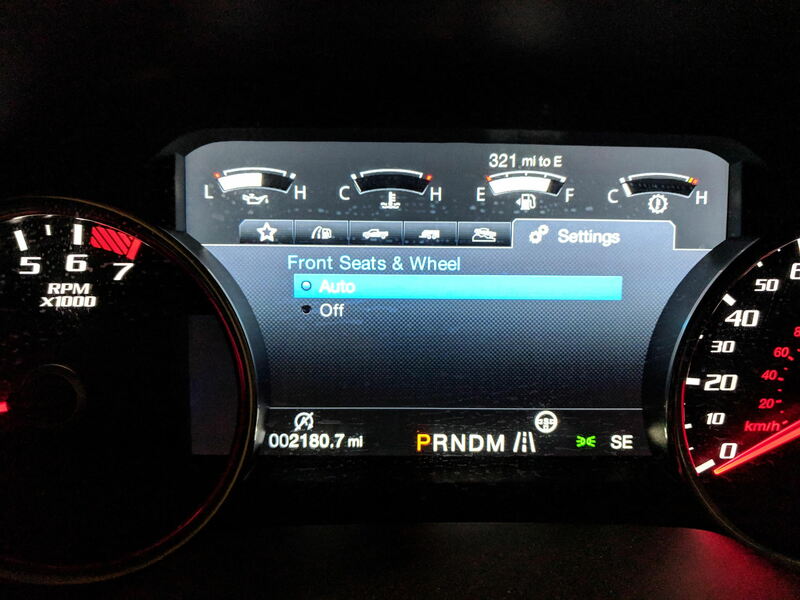 I have looked at the dash controls and it is set to auto, see photo below. I'm posting this in the hopes that someone knows how to resolve this without going to the dealer. There are many posts on this. First, make sure you understand that when you remote start, NO INDICATORS light up on the vehicle. So you cannot look and say "Oh, the front seats aren't heating because the lights aren't on". In hot weather, the system sets to 72°F (22°C). The cooled seats are set to high (if available, and AUTO is on in the information display). In moderate weather, the system either heats or cools (based on previous settings). The rear defroster, heated mirrors and heated or cooled seats do not turn on. In cold weather, the system sets to 72°F (22°C). The heated seats are set to high (if available, and AUTO is on in the information display). The heated rear window and heated mirrors turn on. There are several posts that discuss what triggers cold or hot, as well as some people still having issues.